To fu, or not to fu, that is the question. The answer is and the answer always will be, to fu! (or tofu rather). Alright, alright, Sam is having one of her loopy rambling words days. I still can’t believe I’m a “professional” writer. Seriously, how did that happen? Back to tofu. I love me some tofu. 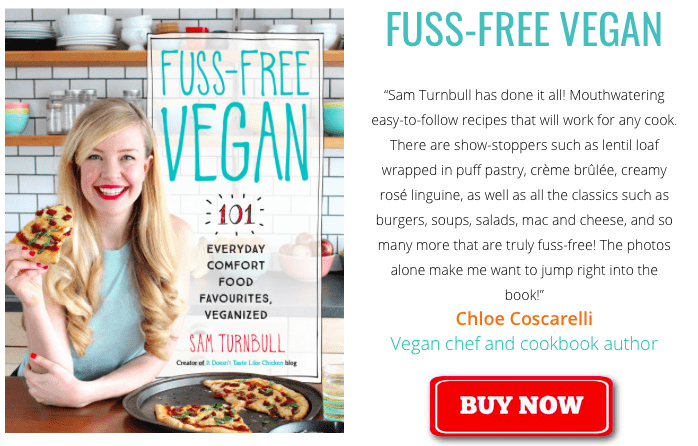 Yep, vegan stereotype or not, I just love the stuff and it’s one of my favourite foods to play with in the kitchen as it has endless possibilities of what it can do. Tofu, you are one mighty fine food. Today I have decided to share with you my Crispy Vegan Lemon Tofu. How do I love thee? Let me count the ways. 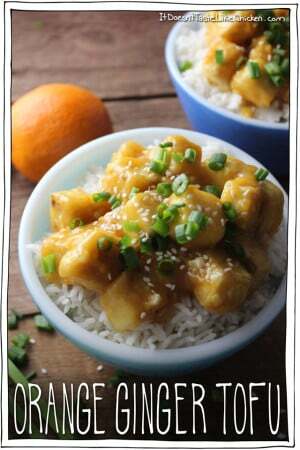 The tofu is marinated in a simple lemon garlic sauce, and you can have it sitting in your fridge for up to three days! Meaning deliciously lemony tofu is waiting for your hunger to strike. The longer you leave it, the more awesome it becomes. Make ahead easiness, check. You can decide whether to bake or fry the crispy vegan lemon tofu. Meaning you get to choose how healthy you want to be for this particular meal. Both ways come out crispy and delicious. Healthiness option, check. Not only is the tofu marinated in lemon garlic sauce, but it is dredged in flour and then dipped back into the lemon marinade to infuse it with maximum lemon garlicky goodness! 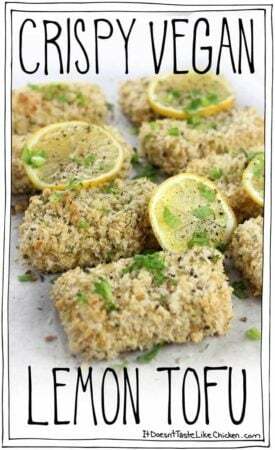 Who needs eggs for a breaded coating when you can double infuse with flavour instead? Then coat it in seasoned panko for maximum crunch. Vegan recipe for the win, check! And there you have it crispy vegan lemon tofu. Crunchy on the outside, lemon garlic on the inside. Serve with a side of mashed potatoes, and a green salad or cooked green like asparagus or broccoli. Yum! 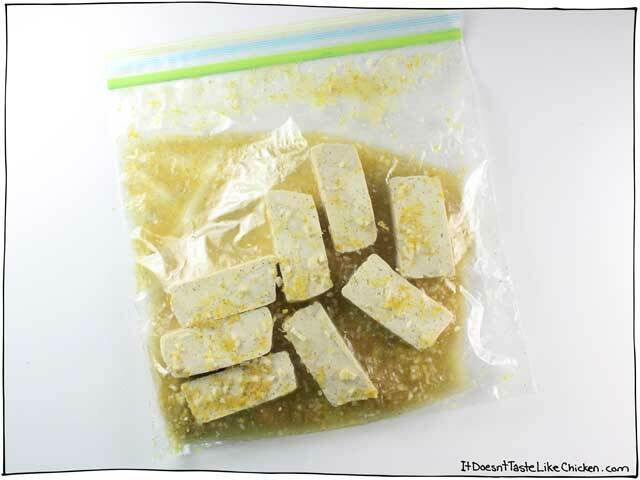 To make Crispy Vegan Lemon Tofu: In a large resealable bag or medium dish, mix together all of the marinade ingredients. Add in the slices of tofu and toss lightly to coat. Seal or cover and put in the fridge to marinate for a minimum of 30 minutes, but you can let marinate in the fridge for up to 3 days. The longer it marinates the more flavour infused it will become. Take three small bowls. Add flour to one. Pour off the leftover lemon marinade into the second, leaving the tofu behind. 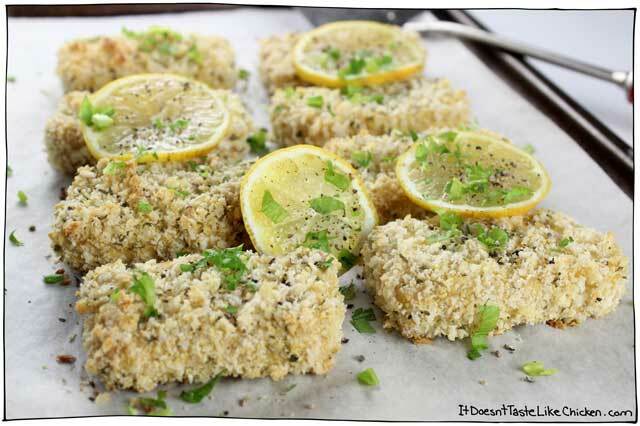 Mix together the panko, nutritional yeast, dried parsley, and garlic powder in the third. Take a slice of the marinated tofu and toss it into the flour to coat, then dip the tofu into the leftover marinate, and finally coat in the panko mixture. Repeat with all the tofu slices. You can bake or fry the tofu depending on your preference. 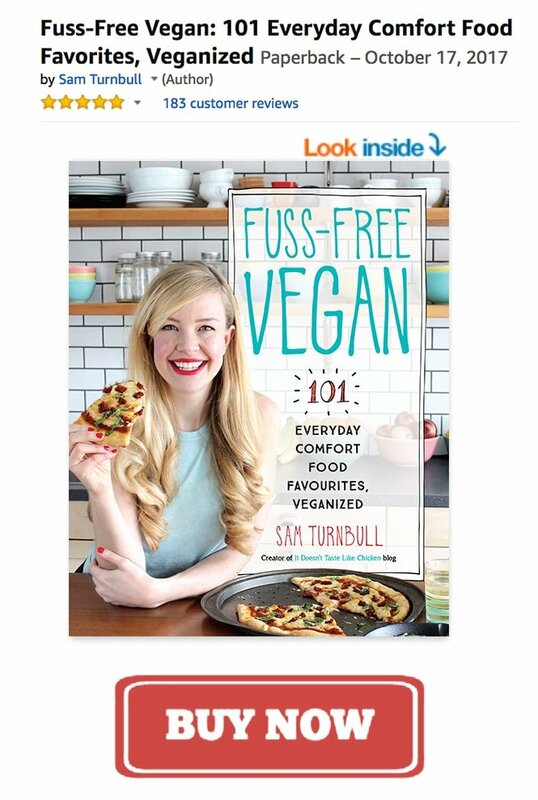 To bake the tofu: Preheat your oven to 400F (200C). Line a baking sheet with parchment paper. 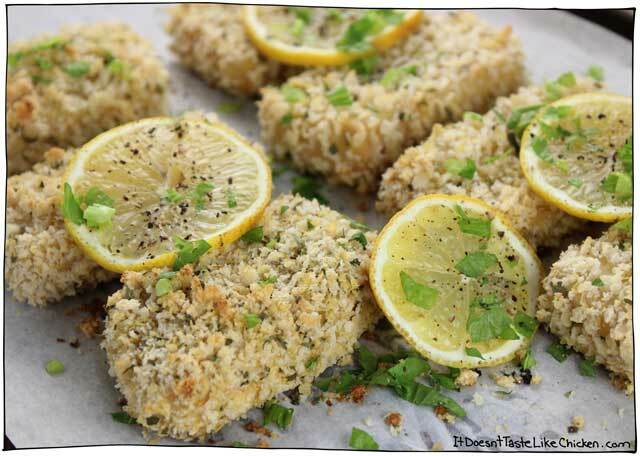 Lay the panko coated tofu in a single layer and bake for 18 to 23 minutes until lightly golden. To fry the tofu: heat a large skillet over medium-high heat with enough oil to coat the bottom of the pan. When hot, carefully fry the tofu pieces until they are golden brown on both sides, and heated through. About 3 to 6 minutes per side. The panko coating can be a little fragile and falls off easily, so I found the best technique was to use a large spatula (and not tongs) for flipping. Just be gentle when handling the tofu. Garnish with extra lemon slices and fresh parsley if desired. Boom! Marinate the tofu in a lemon garlic sauce for up to three days for an easy make ahead meal. 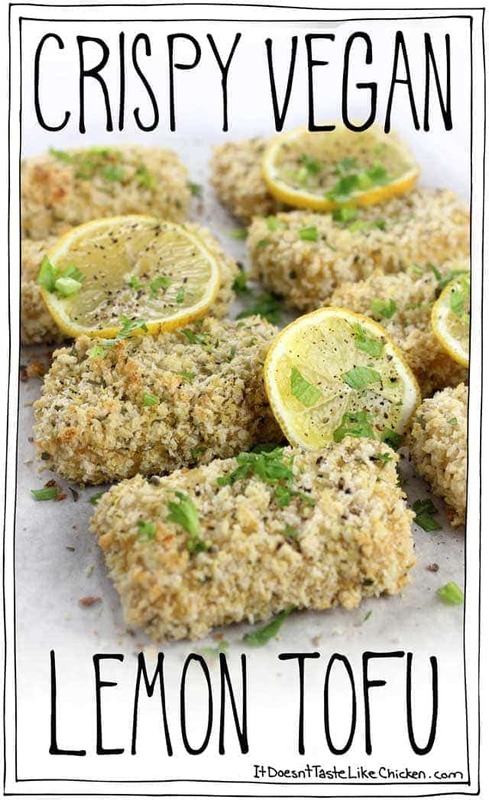 Then bake or fry in a crispy panko coating. 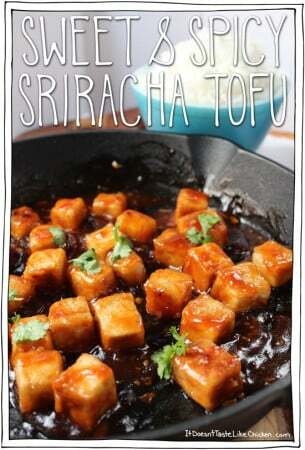 Marinate the tofu: In a large resealable bag or medium dish, mix together all of the marinade ingredients. Add in the slices of tofu and toss lightly to coat. Seal or cover and put in the fridge to marinate for a minimum of 30 minutes, but you can let marinate in the fridge for up to 3 days. Panko coat the tofu: Take three small bowls. Add the flour to one. Pour off the leftover lemon marinade into the second, leaving the tofu behind. 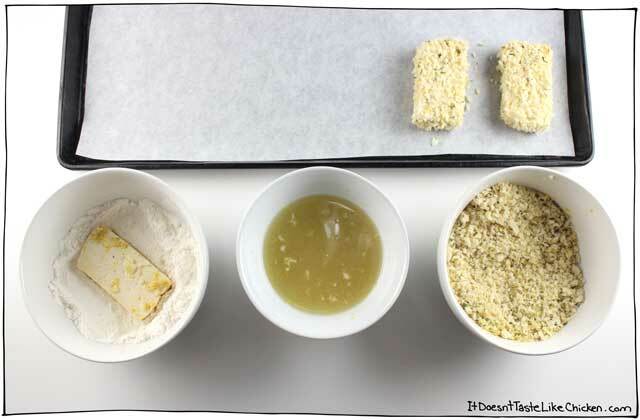 Mix together the panko, nutritional yeast, dried parsley, and garlic powder in the third. 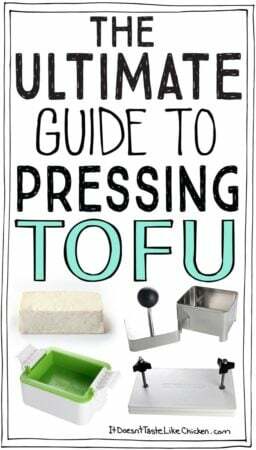 If you're new to pressing tofu, check out The Ultimate Guide to Pressing Tofu to find out how (it's easy peasy)! WOWZA! Love the texture and the taste! Also, it’s easy peasy! Ok sorry for all the exclamation points but this recipe is everything it promises. I’ll be making this again! This recipe was a hit with me and my husband! I marinated the tofu for two days and it was perfect. The texture is great! I didn’t alter the recipe at all, (but used whole wheat pastry flour for the flour, and whole wheat panko bread crumbs). Thanks for this one! This recipe was awesome! I didn’t have Panko breadcrumbs so I used ritz crackers and instead of baking them I used my air fryer! They came out extra crispy and I love the lemon flavor with each bite! Thanks! So happy you enjoyed it, Hailey!! Hey there – if I wanted to use lemon juice instead of using fresh lemons, could I? Thanks – you’re the best! That should work fine. Enjoy! Haha, yep, it is crispy lemon tofu! I love tofu! So glad to find something non Asian inspired. I love Asian inspired tofu but this is a good change of pace. I’m thinking this can be great on a salad! Yeah, this recipe is perfect. My wife is vegetarian and I’ve cooked this one probably 5 times for us. I’ve always liked tofu, but this flavor is so good, tops any other tofu recipe I’ve made. 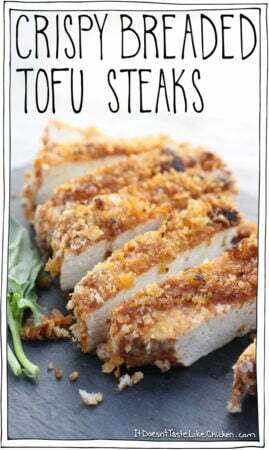 I’d say I’m down to eating meat only once a week with great recipes like this. Thanks so much! Delicious!!! New to your blog Sam. I will try this tomorrow! WOW! 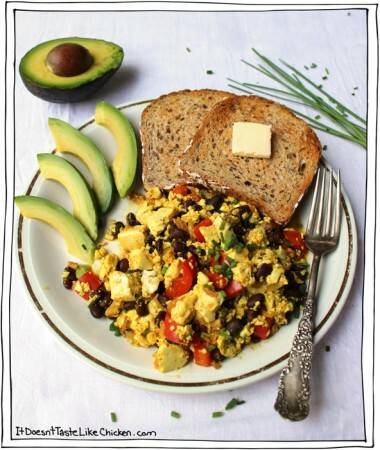 This recipe is sooOOooo deliciously fun! I am such a lemon fan. And when I saw Tofu + Lemon in the title, I immediately jumped at the occasion of trying this out. This is probably the dumest question but I should press the tofu before right? I am new to making tofu and wanted to check. Cannt wait to try this! Excellent, followed the recipe exactly. Baked the tofu. My 5 yr. old grandson loved it also. New to your blog. Have shared it with friends. Thanks again. This was my first time making anything with tofu. Loved it! I will definitely be making it again. This was sooooo delicious. You had me at lemon! Haha! I baked it, flipping it about half way. Super easy (Sam-style) and devoured by everyone (even our 8 month old son seemed to be loving it). This was terrific!! 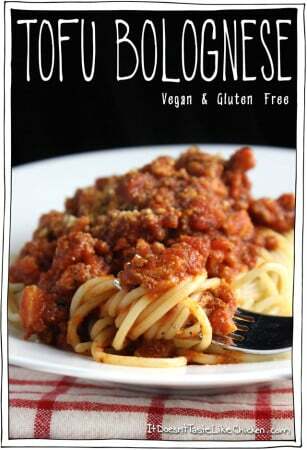 I had tofu ready for another dish, but this one popped up in my email. Wonder of wonders, I had everything! I didn’t have panko, but I had regular bread crumbs and they were fine. This is definitely a keeper! Served with jasmine rice and sauteed peppers, onions, mushrooms and broccoli. 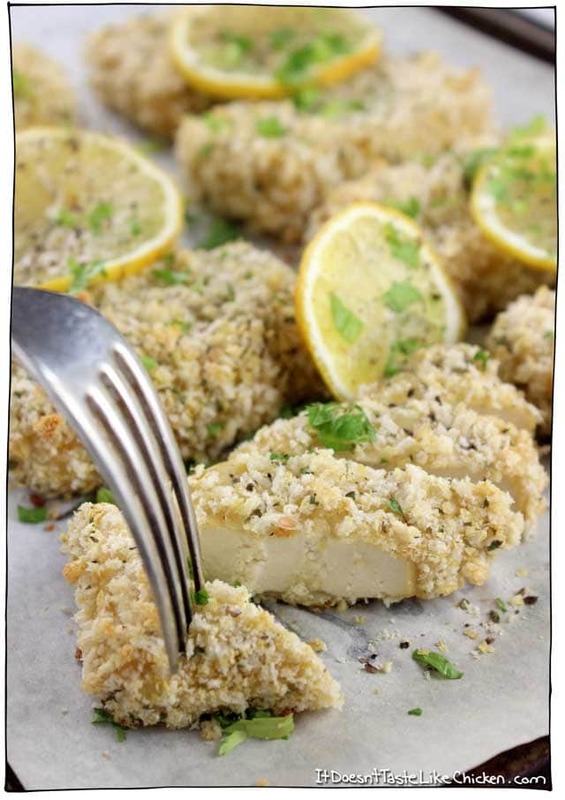 I’m in love with this idea of crunchy lemon tofu! Must try it soon. Ok Sam!!! What a great recipe!! I love it!!! Thanks!